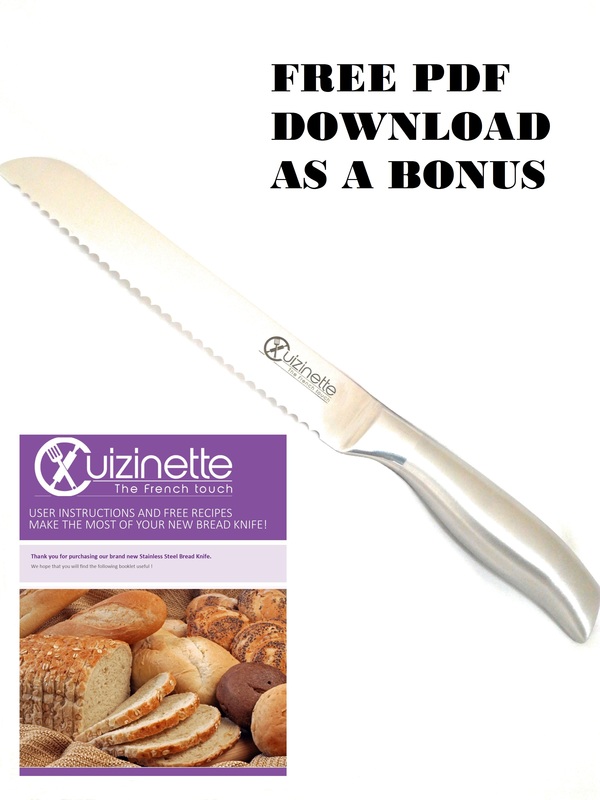 If you have just purchased a bread machine, whether Panasonic or not, then you absolutely need our knife to cut these loaves at the best time and in the best manner! We are pleased to announce that it is now available on Amazon! 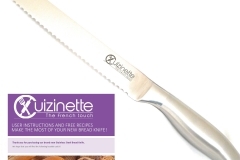 Cuizinette is proud to present to you its STAINLESS STEEL BREAD KNIFE with serrations on the RIGHT. 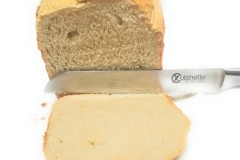 Do you want to be able to cut through hot bread easily? 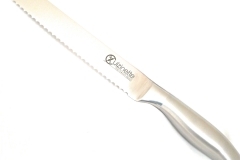 Are you fed up with knives that rust after only a few uses? 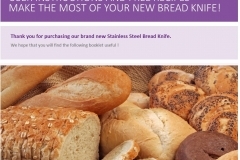 Have you just purchased a Bread Maker or a Bread Machine, whether Panasonic or otherwise, and you are looking for a knife that can deliver straight, evenly cut slices of bread to you and your family? 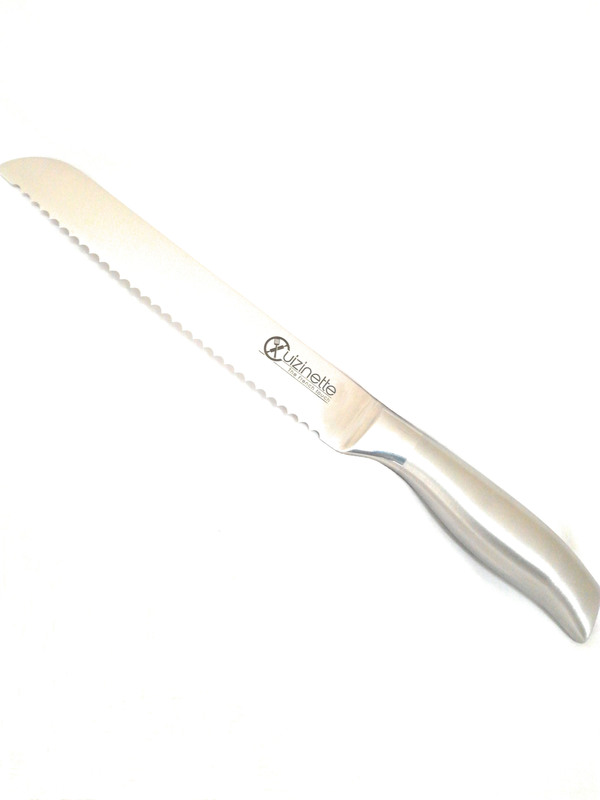 Then look no further, our Brand New STAINLESS STEEL knife is the answer. 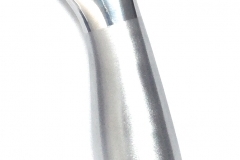 The position of its serrations makes for an easier cut every day. 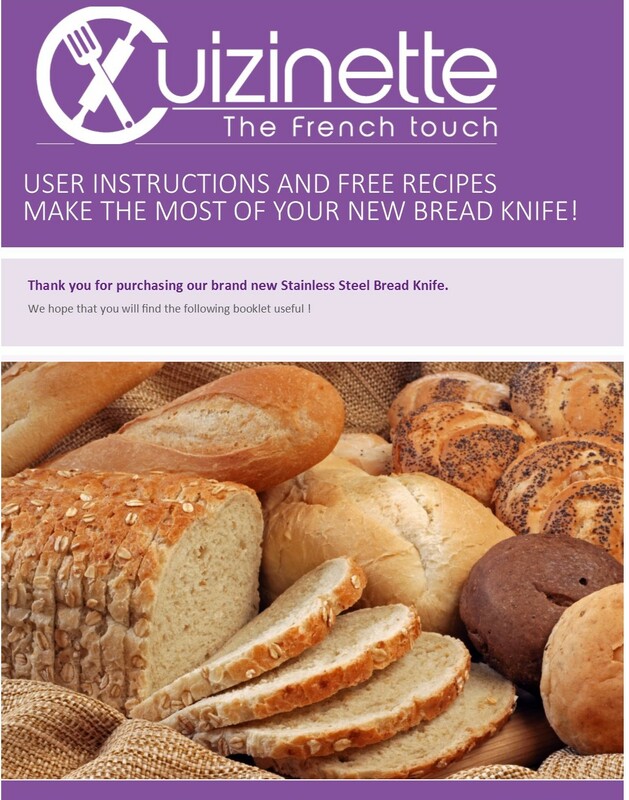 Each purchase entitles you to download a FREE USER GUIDE with FREE RECIPES! At Cuizinette we are a French family running a business to solve some of your everyday problems. As expats, one of our problems once out of France was to get our daily supply of fresh bread every single day, just like at home. As it was not happening, we discovered the world of the bread makers and invested time and money acquiring some. We were delighted with the results but we really struggled to cut even slices of the bread it had taken so long for us (or the machine!) to make. We then ordered countless Bread knives (including some of the best sellers on Amazon.com!) but that was to no avail. 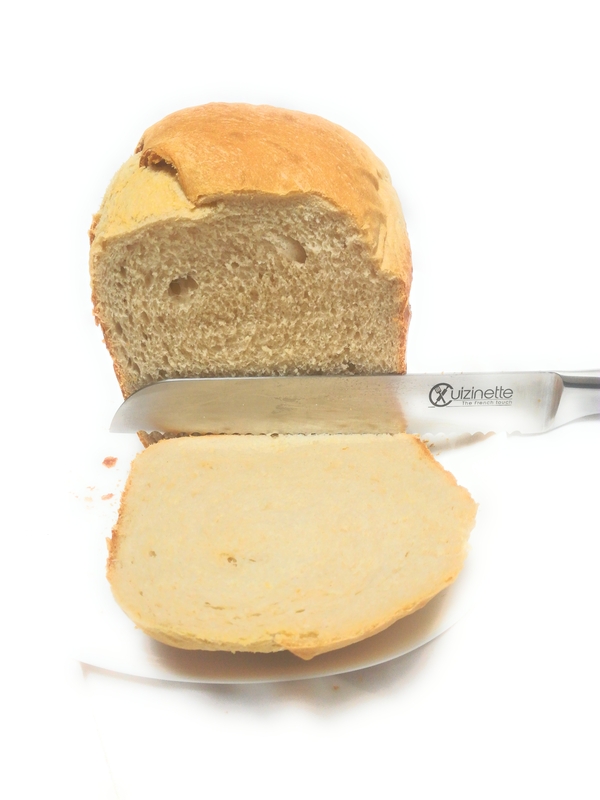 That’s when we decided there must be a better way, and we designed and produced a knife with serrations on the right, which means that the bread is cut right through from the crust to the bottom from an easier side for you to handle (whether you use your right or left hand). 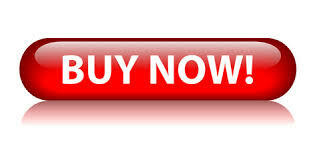 We are so proud to make it available to you today! 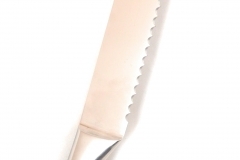 This is not your run-of-the-mill bread knife! 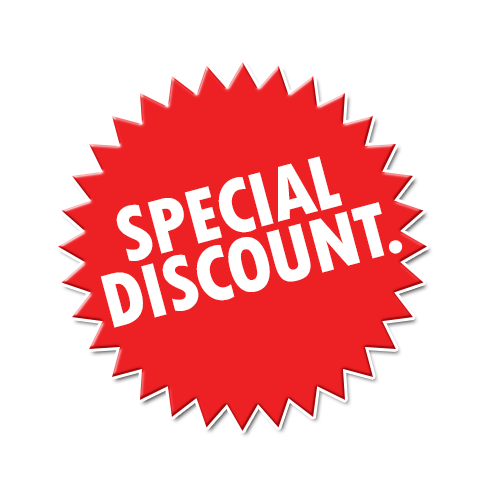 With its FREE BONUS, it is a real bargain. Order yours today!